This is a unique promotional item in our line specifically for the budget conscious. 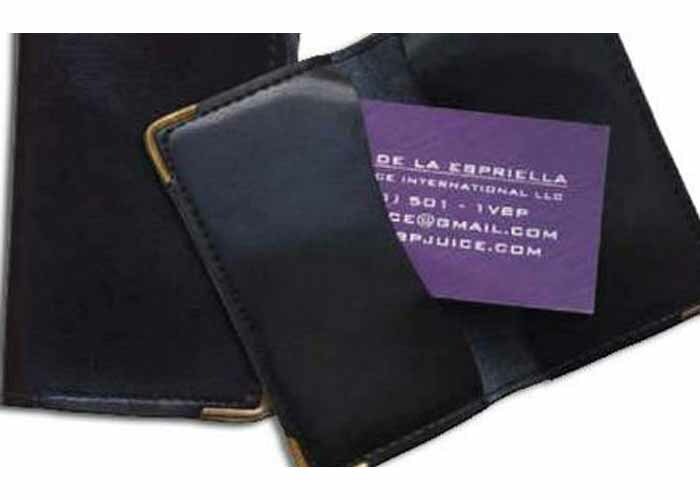 This item has two interior slim pockets (no windows) and four metal gold colored corners which greatly enhance the luxuriousness. 5 x 4-1/8" Open 2-1/2 x 4-1/8 closed.